Athena is improving slowly, but has a long way to go, due to years of abuse & starvation. She loves company, & all the fuss our volunteers make of her. She is on a special diet & is fed 5 times a day! What a difference! Thanks to all, for your love & support, Athenas a lot better. We have started work for her Stable. 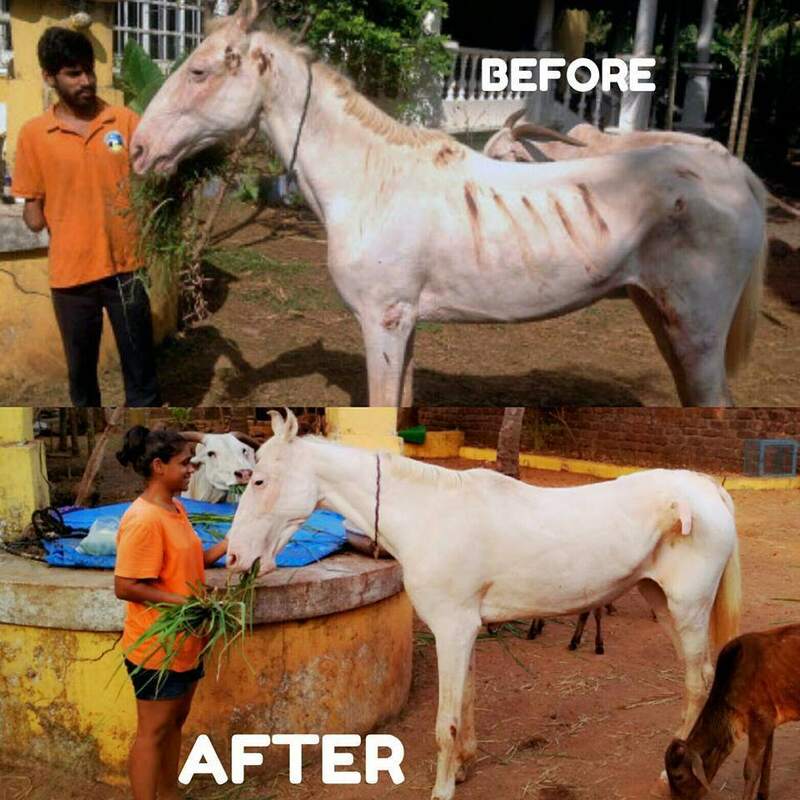 Thank you all for your generosity towards Athena, the abused Horse, who has now found happiness at our Shelter. She is doing well and loves our rescued Calfs. 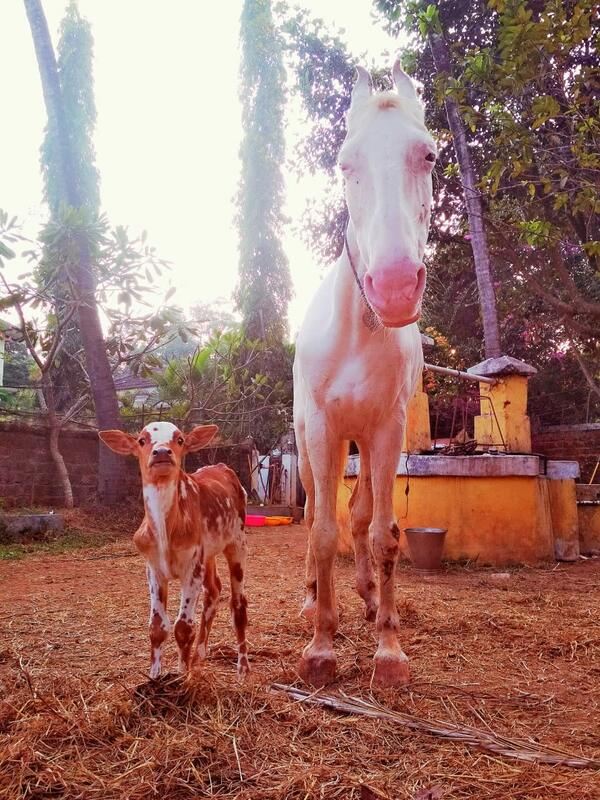 Pictured here with "Sitara" a beautiful orphaned calf who adores Athena. We are also starting to build her stable. Thank you for all the support. Wil keep you posted.